Every mother has a favourite, don’t kid yourself. Brisbane has pushed out plenty of food babies this year, with a lot of big bois stealing our hearts with their sweet nature and cocktail-making abilities. Kids these days. Here’s a round-up of our favourite new venues in Brisbane, including bars, top rated restaurants and cafes that have Owen Wilson wowed the office throughout the year. A little goes a long way, but with a big name behind it, it can have the city eating out of the palm of its hands. This year, the Rick Shores team sent a little love our way with Little Valley, introducing a glistening Chinese inspired menu in a space dripping in modern black and gold decor. Living up to its expectations and then some, every orange duck steamed bun and truffle and potato spring roll had us wonton more, making it an easy addition to the favourites list. Three for the price of one! Although very much not literally, that would not be a sustainable business model. The Garden Pantry graced us with a dining hall tied together by Mr. Bunz, Cheeky Poké Bar and Salt Meats Cheese, creating a space where everyone can eat under one roof, without being confined to eating the same type of food. The contemporary space is riddled with fiddle leaf figs, bursts of colour and the choice to dine in or out, offering a balmy summer venue with visually appealing perks. Dining, drinking and dancing our life away was done at Beirne Lane. Somehow both a step back and forward in time, Beirne Lane manages to capture the timeless class of the ‘40s, with current day eats, cocktails and values (boozy Sunday brunch, we’re looking at you!). No katsu sando is safe from the wrath of hungry eyes, and between those puppies and serious Gatsby party vibes, our appreciation for this new chap is as strong as an Anne Beirne Sour. We used to hit up supermarket butter chicken, now we can’t even bring ourselves to make eye contact with the subpar stuff (who were we, who are we?). 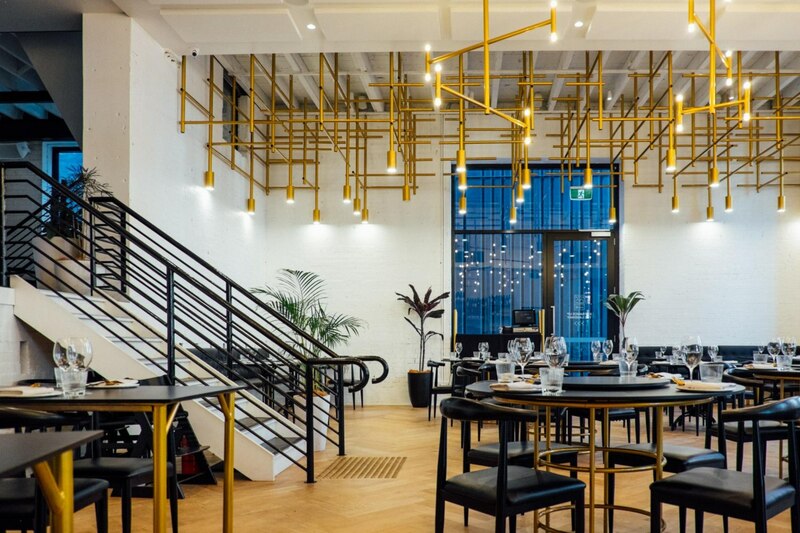 Let’s blame Heritij as they’ve changed Brisbane’s Indian cuisine game for good, starting with a gorgeous venue in the heart of the city, and working up to an award-winning menu thanks to Michelin-starred chef, Manjunath Mural. Slowly eating them out of business one samosa at a time, it’s safe to say that we won’t be slowing down any time soon. 11/10. Ya boi Alf Stewart has been there, and by gum that’s good enough to make it to our list of honourable mentions. Newport’s Café came bounding over with both a clean look and a casual menu that doesn’t skimp on flavour, grabbing our attention with the scent of butter mushroom toasties and pulled lamb toasties every lazy morning (so, every morning). With coffee worth forking out your coins for, it’s been a pleasurable and very woke few months on the port. Work hard, play hard. B. Lucky & Sons took the best from their Melbourne venue and made it even better on home soil, letting us scream our way through air hockey, and curse the day your mother was born every time a banana obstructed our path in Mario Kart. With gravy coming out of teapots and boozy bubble tea garnished with pandas and bamboo sticks, this insane adult playground got its head in the game and weaselled its way into our good books. Well played. The royal mother of all bubble tea venues opened in Sunnybank this year, serving cheese tea realness, and brutally testing our lactose intolerance. Majestea has been pouring the likes of cheese green tea, cheese rose oolong tea and cheese peach apricot tea, to both confuse and excite our tastebuds. Being cheesy has never been so easy. Do it all night and feel right in The Boom Boom Room. This 1920s bank turned opulent basement-level cocktail lounge feels as exclusive as it tastes, with 24 luxury spirits available in The Vault on top of one-off sips from the boujee bar. We love the mood-lit speakeasy vibe almost as much as the pork-belly bao and Sichuan spiced chicken wings. This was our best-kept secret, but we guess you’ll just have to go and check it out for yourself now (secrets are hard, enjoying cocktails is not). We couldn’t contain our excitement prior to X Cargo’s opening, and that giddiness is still going strong ’til this very day! Rolling into the Valley with a yard’s worth of shipping containers and flamingo mural waiting to takeover every damn Instagram feed, X Cargo swiftly became a budding social hub for casual bites and brews by day, or canapés and garden cocktails by night. You bet we gave each scenario a test-run, living our best lives across the multi-level outdoor venue perfect for any occasion! What a lady, what a year. - the gourmand who is ready to keep eating and yeeting well into the new year. We Can Barely Container Our Excitement - XCargo is Open!